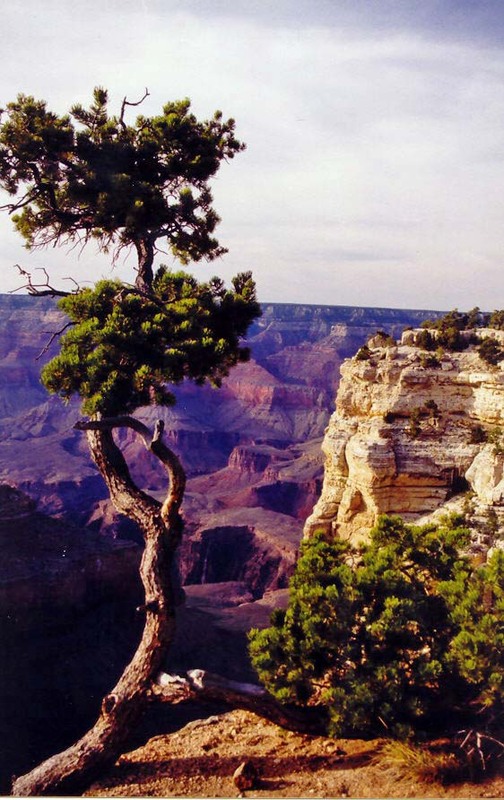 The Grand Canyon is a world treasure. I’ve backpacked into it several times and rafted the Colorado River through it. Once, I even rode a mule into the Canyon. The mule carried me over the trail you can see right front center. I followed Highway 50 east out of Sacramento, cut off at Pollock Pines and picked up the Mormon-Emigrant Trail. Soon I was on Highway 88 climbing up and over Carson Pass. Newly dressed aspens, snow-covered mountains and frothy creeks reminded me that summer was still two months away. Kit Carson came through here in February of 1844 along with John C. Fremont. The snow was deep and food was limited. They ended up dining off of their horses, mules and the camp dog. The dog apparently went quite well with pea soup. Later, the trail they discovered would become a major entry point for the 49ers and run through the foothill town of Diamond Springs where I was raised. 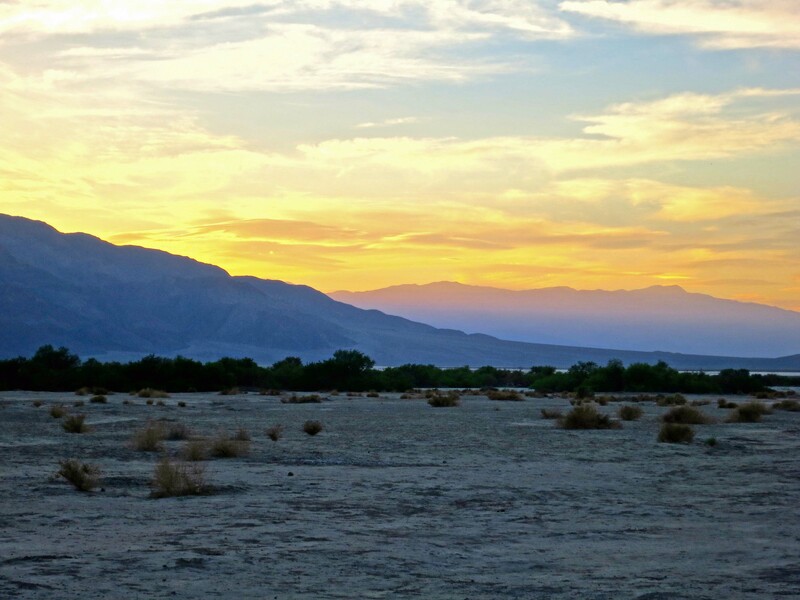 I walked out from my campsite in Death Valley as the sun set and listened to coyotes howl in the distance. 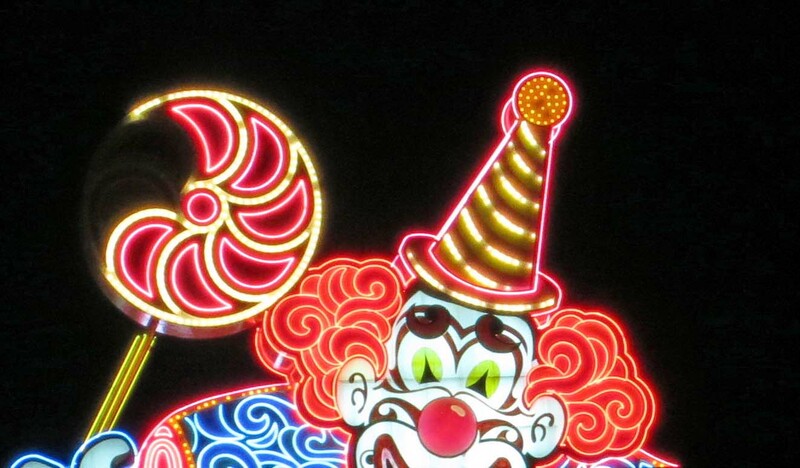 A little treat for those of you with Coulrophobia, the Circus Circus Clown. No wonder people fear clowns. I wasted little time checking in at Mather Campground. The Canyon was waiting. 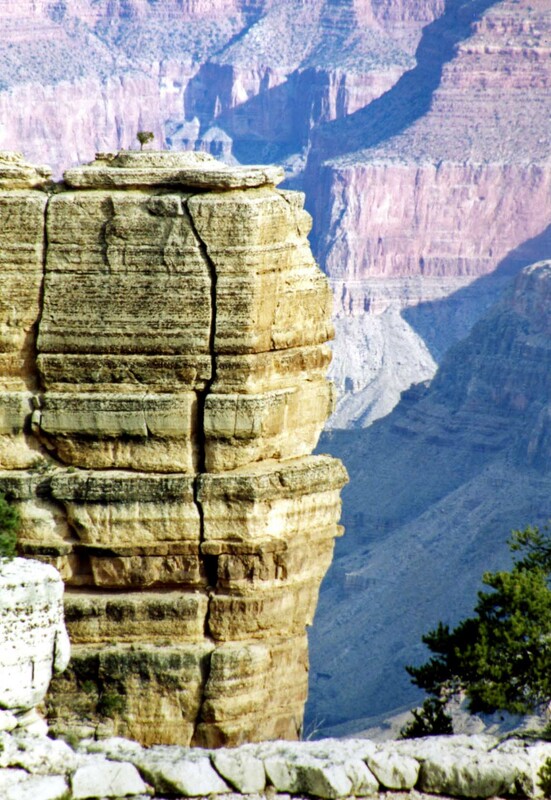 An unoccupied rock off the trail near Yavapai Point provided a convenient spot for dangling my legs over the edge. Nothing but several hundred feet of vacant space existed beneath my hiking shoes. A slight breeze on my back reminded me of my mortality. 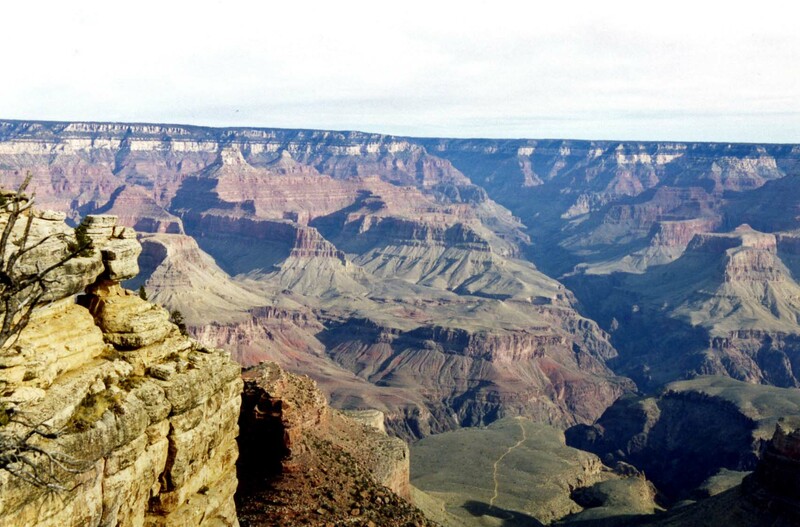 Sitting on the edge of the Canyon isn’t for the faint-hearted. One can fall hundreds of feet. The next day was devoted to careful preparation. Seventeen years of backpacking in all kinds of terrain and climate had taught me that there was no such thing as being too careful. I approach compulsive when it comes to backpacking alone. Had I resupplied my first aid kit? Was my stove still working? Did I have adequate fuel? Did I have my flashlight, signaling mirror, whistle, compass and maps? Did I have enough but not too much food, water, reading material, etc. etc. etc.? They came rushing back as I struggled to hoist my 60 plus pound pack. It was filled with seven days of food, extra water and all of my equipment. I had cursed the day before as I struggled to find room for everything. Now I was cursing I hadn’t left half of it behind. I had the irrelevant thought that my journey down would either kill me or cure me. Sorry to leave you hanging here as I begin my descent down into the Canyon, but I am going to take a break from blogging for a couple of months. It’s going to be tough. I love blogging and I enjoy keeping up with all of my Internet friends. It’s a special group. But five grandsons are descending on our house and I think Peggy and I will be a little busy (understatement). After that I am going to do some traveling— who knows where? (Peggy will be off in London with her sister Jane.) I also need to spend some time marketing my book. Time simply hasn’t allowed me to put in the effort I should. 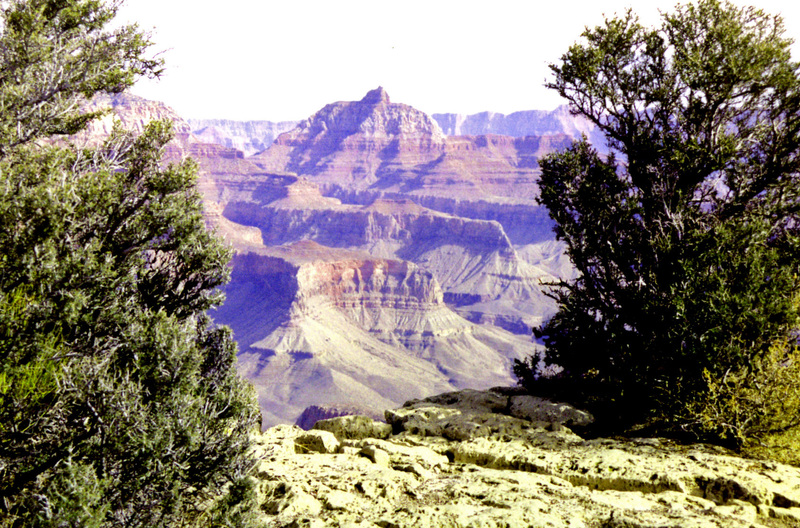 A final view of the Canyon with its multiple layers that represent deposits from oceans, deserts, rivers and lakes over hundreds of millions of years..